Australia's demand for infrastructure is skyrocketing. With an anticipated national population of 30.5 billion in 2031, our four biggest cities will grow by 45%. We are moving towards enormous urban communities and Infrastructure Australia urged "it's crucial to act now, before productivity and living standards are impacted." The civil construction industry will see a colossal deal of interest. Training will be the essential mandate for anyone setting foot on a construction site, including employees, self-employed persons, managers, professional consultants, engineers, surveyors, truck drivers, landscape gardeners and on-site cleaners. In short, civil construction will demand a skilled industry for the future. So how can a quality workforce provide a competitive edge? We've spoken with Civil Train Queensland (RTO number: 5708) who share the core elements needed to deliver industry specific, relevant and flexible training for your business. Civil Train is a nationally recognised Registered Training Organisation (RTO) and the training division of the Civil Federation Queensland Branch (CCF QLD). 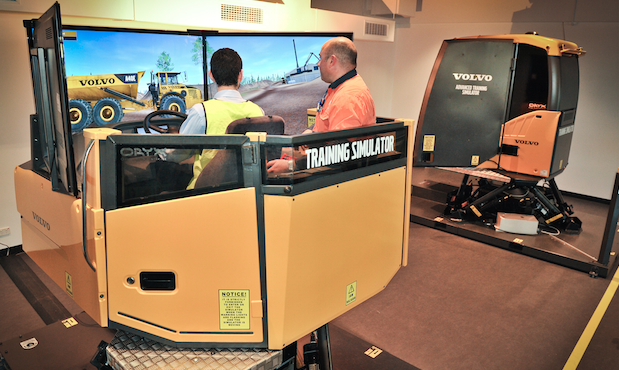 As Queensland's market leader in delivering training within the industry, there is no better company to ask. Seek training by those who live and breathe civil construction. A facilitator should work directly with the industry to develop and deliver the best training possible. Your training body should consist of a team of professionals who are industry trained, qualified, experienced and employ innovative training delivery methods. For these reasons, Civil Train is the educator of choice for civil construction companies and their employees. "Our team's goal is to assist students to reach their full potential through exceptional services, accessibility and sharing of knowledge. We are based in regions all over Queensland, and will come to you for practical and flexible on-the-job training, minimising costs and workplace disruptions". No two individuals have the same training requirements, so it's important to identify your specific needs and create personalised training solutions that are effective for your business. The short courses are ideal for those who want to further develop their skills and up skill in specific areas. When there are times that the training product available doesn't suit your business needs, Civil Train offers unique tailored training solutions designed specifically for you. With a skilled workforce required for the future growth of the industry, PlantMiner wants to help. For the lucky participant, we are offering the opportunity to win a fully-paid Civil Train Queensland short course of your choosing. Check out Civil Construction Courses Jun - Dec 2015, To enter, fill in the form below and describe in 25 words or less what training and upskilling in civil construction means to you. As per our terms and conditions, the competition will conclude on June 19th 2015. After all, training must be relevant, flexible and cost effective. You should know that this post is sponsored by Civil Train QLD, however all opinions are our own.